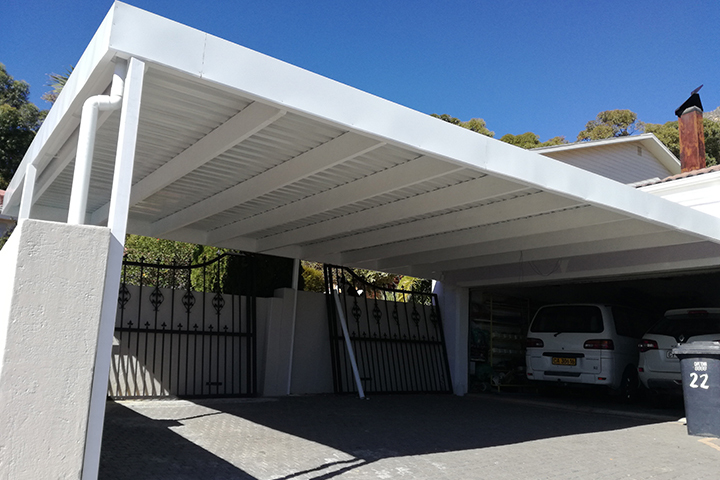 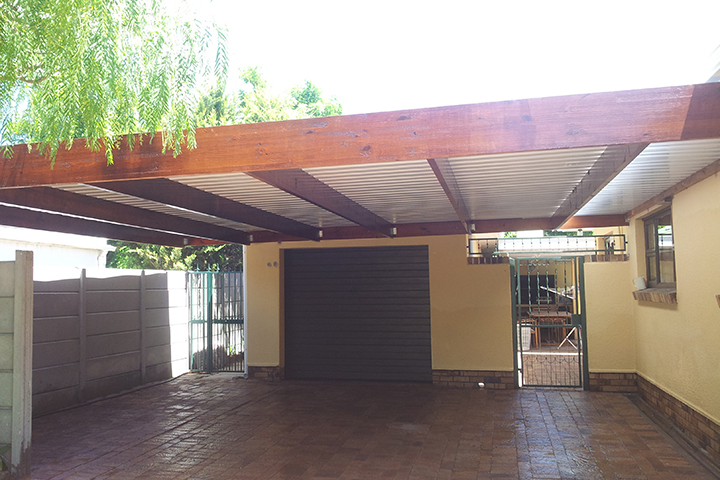 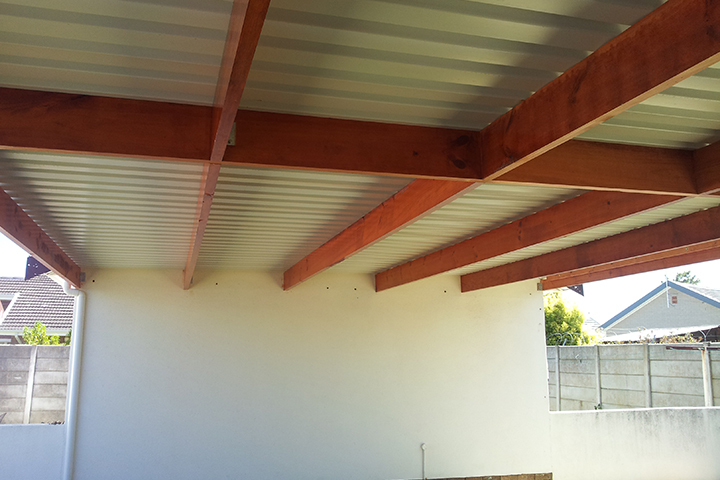 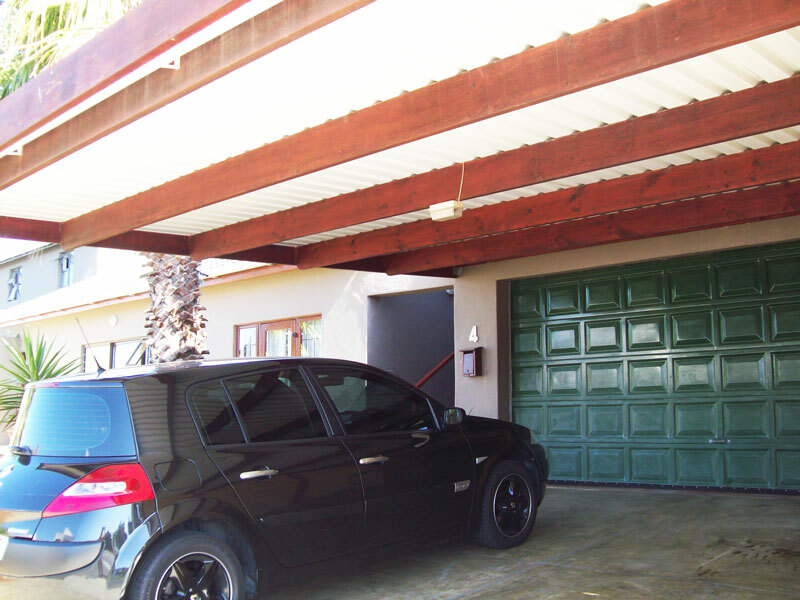 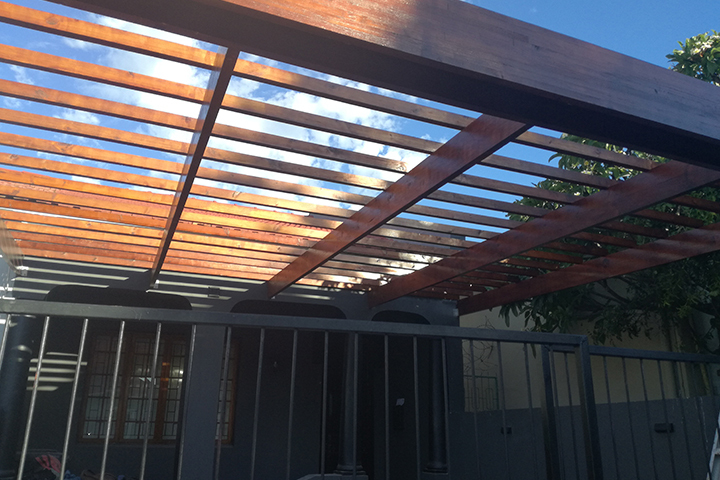 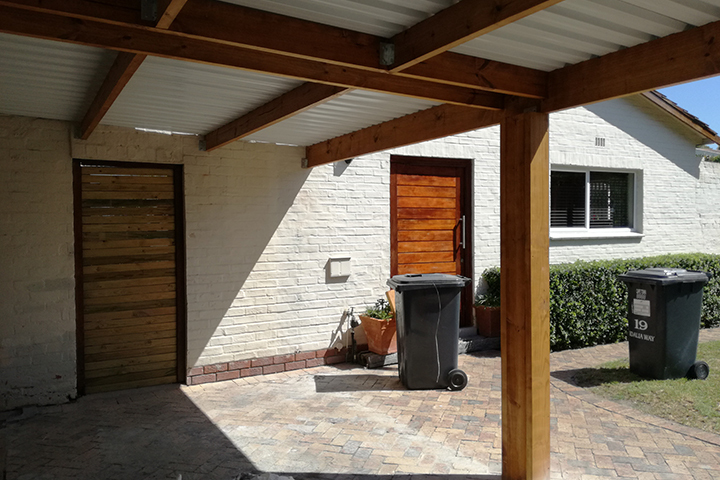 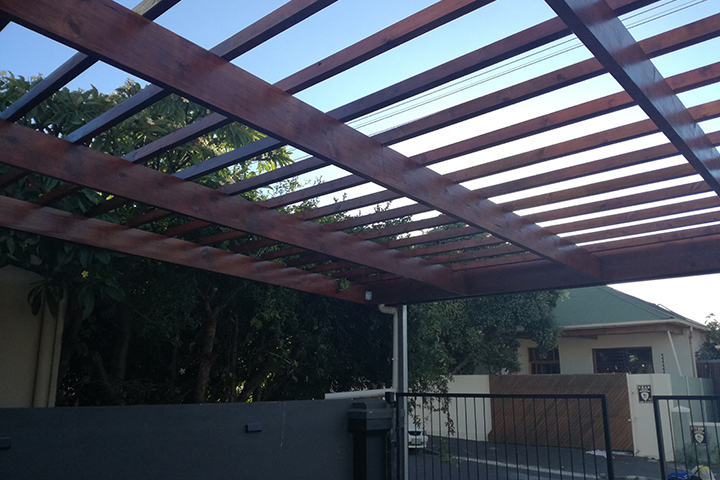 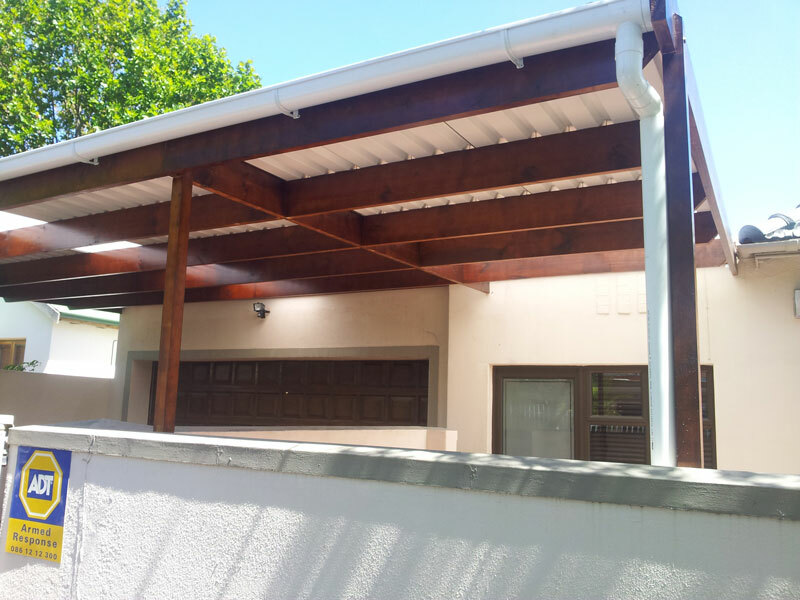 Structures are built from planed all round SA pine timber. 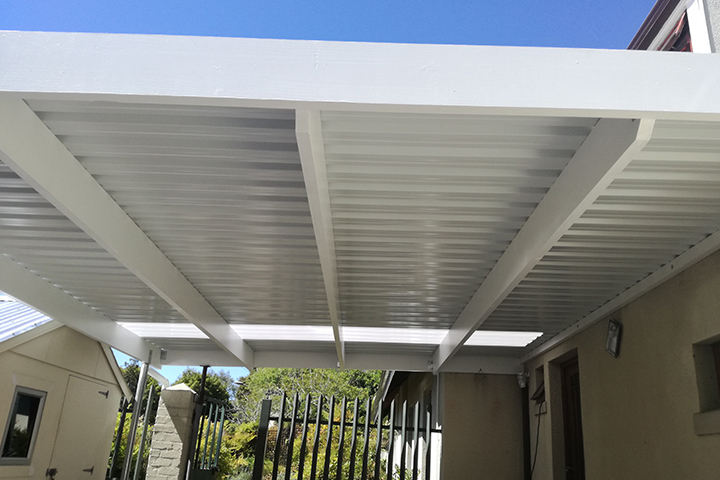 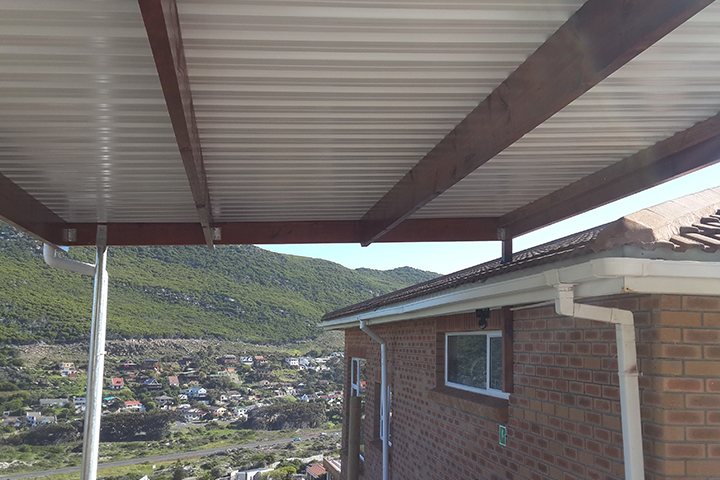 Roofing is either Galvanized IBR profile sheeting either in Chromodek or Zincaloom depending on the client’s specification. 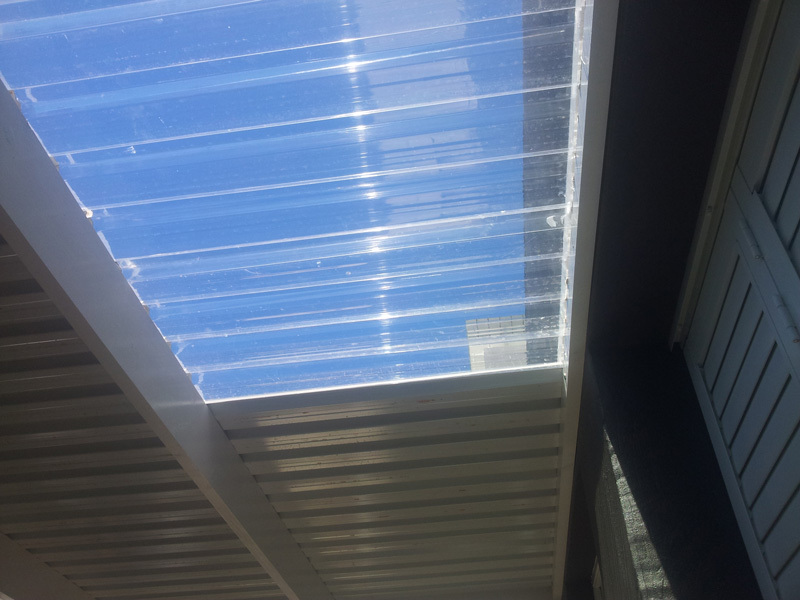 Extra light is created using polycarbonate sheets over windows and doors where necessary. 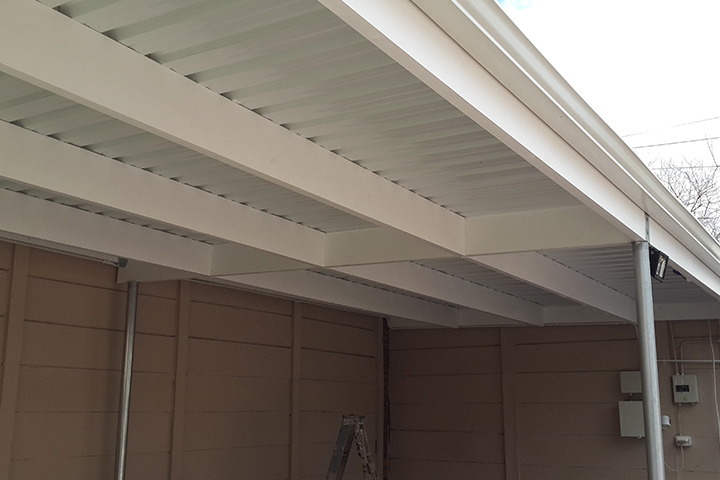 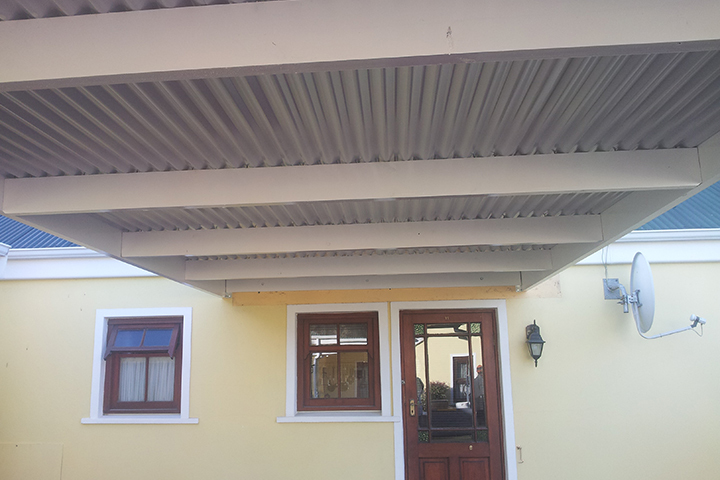 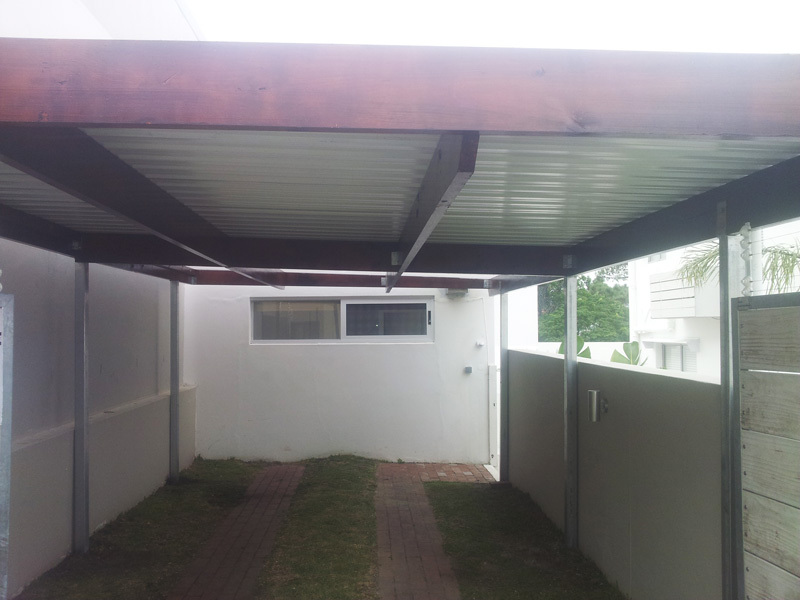 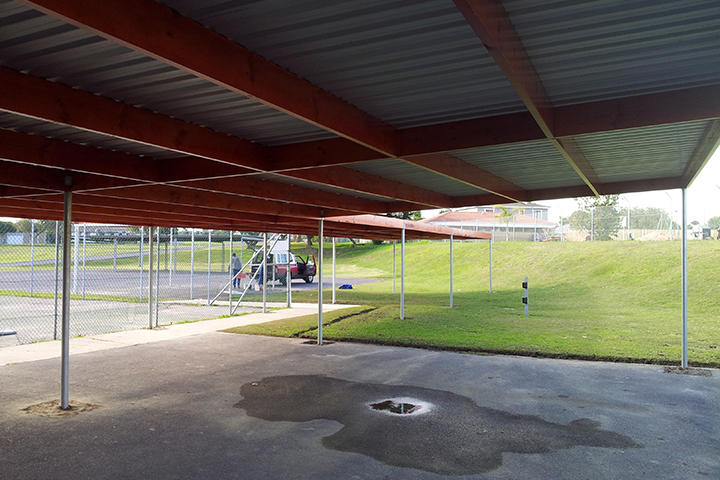 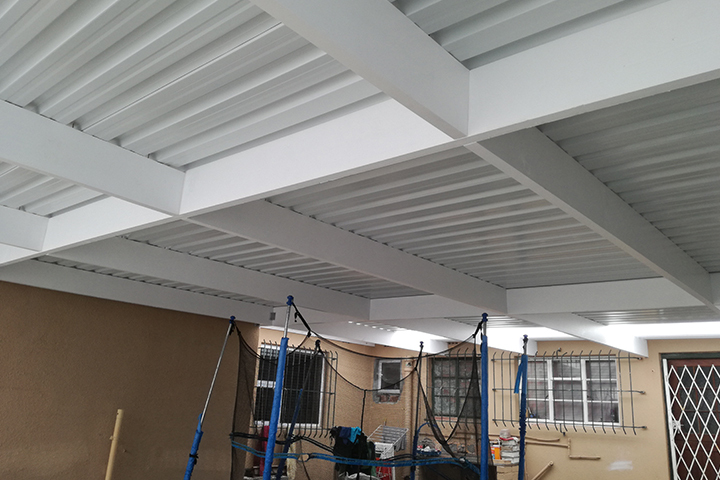 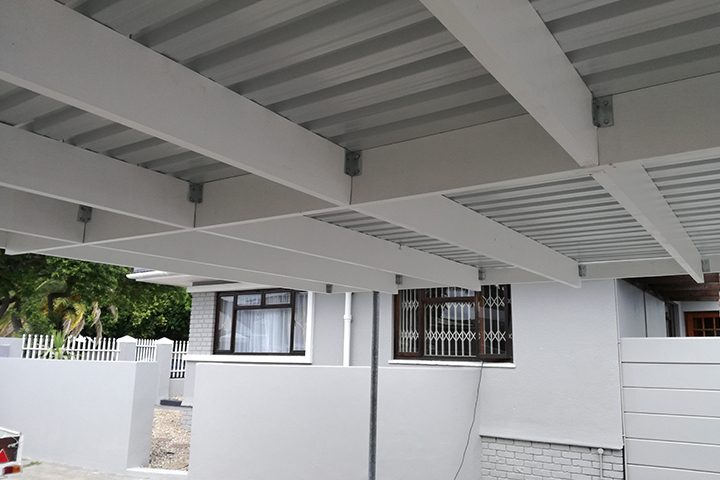 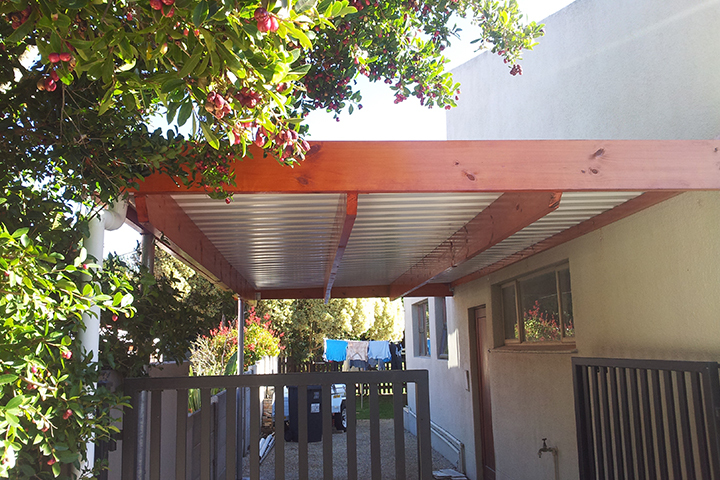 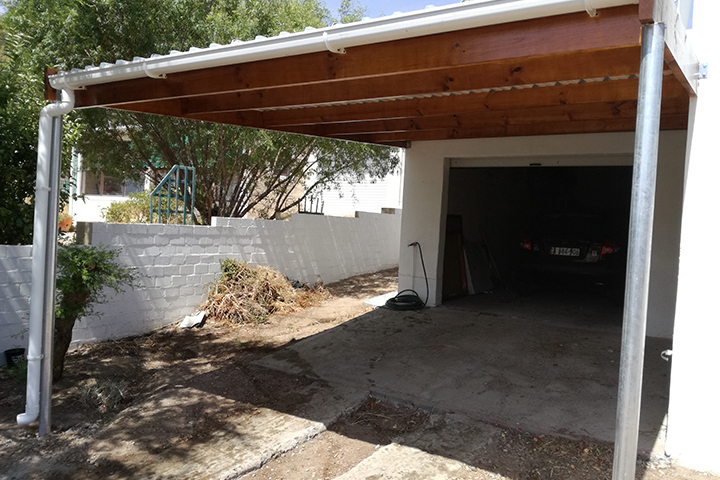 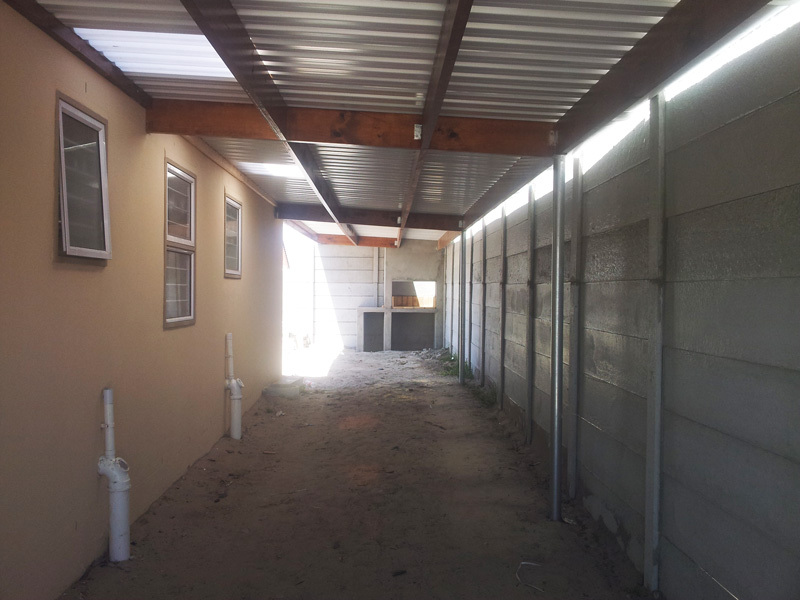 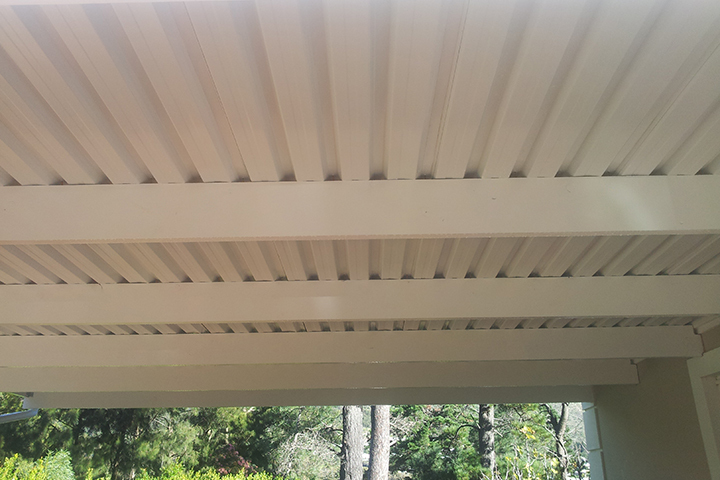 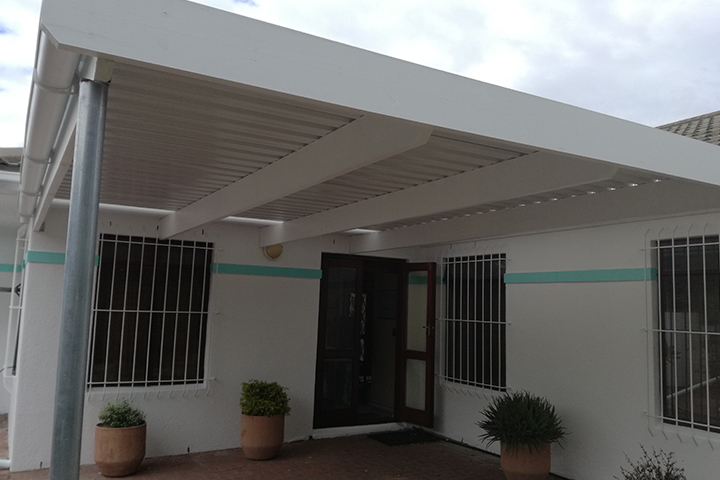 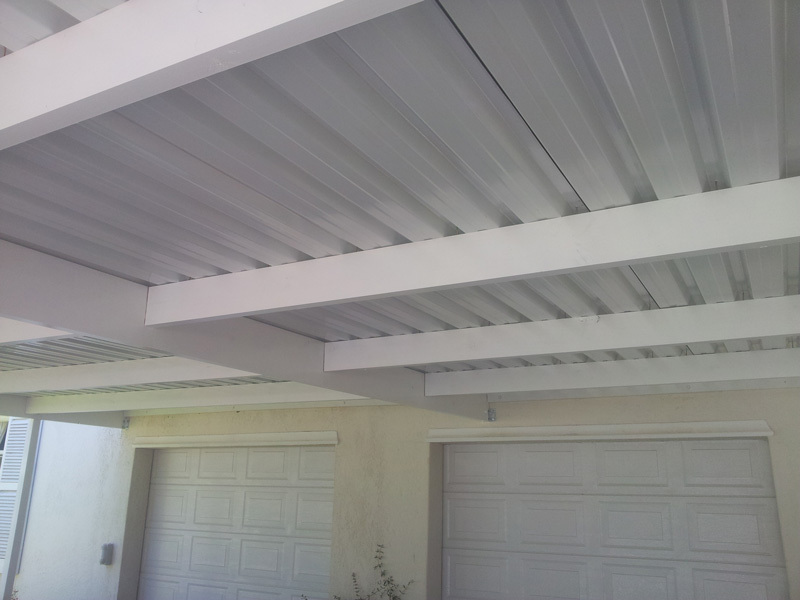 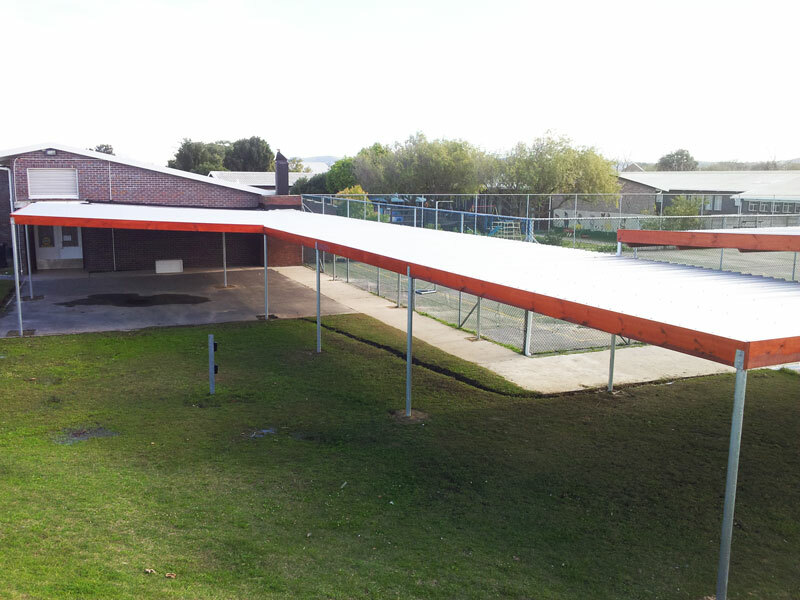 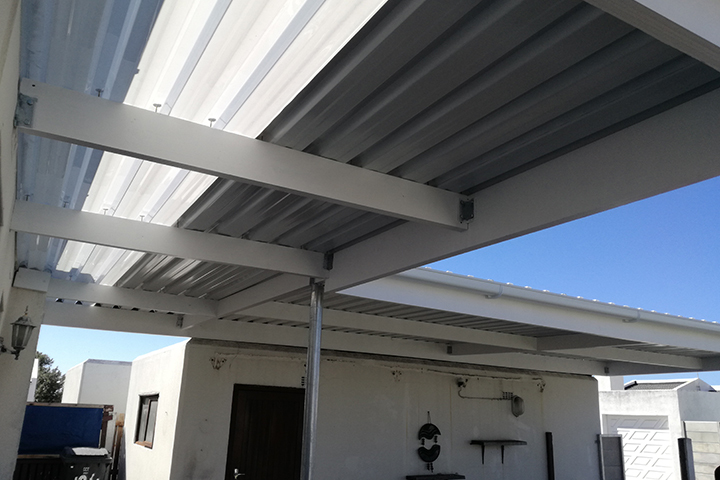 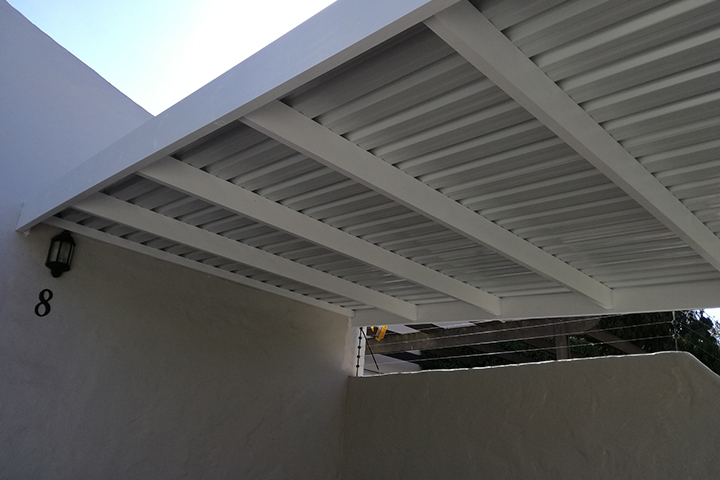 All structures have gutters and down pipes included. 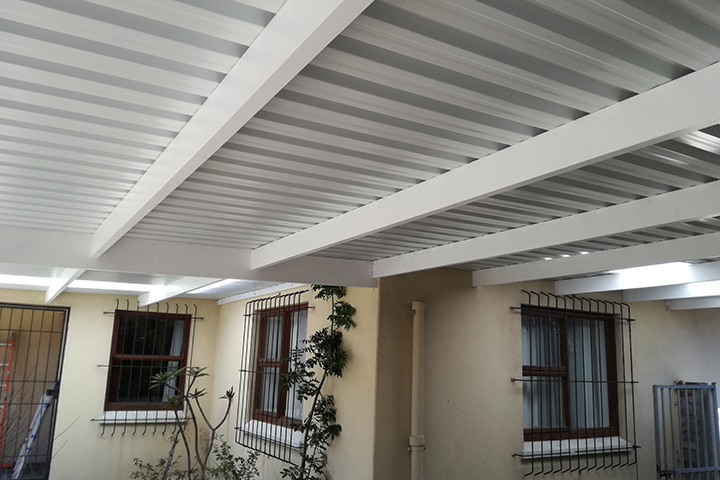 Choice of either Imbuia varnish or painted white is available. 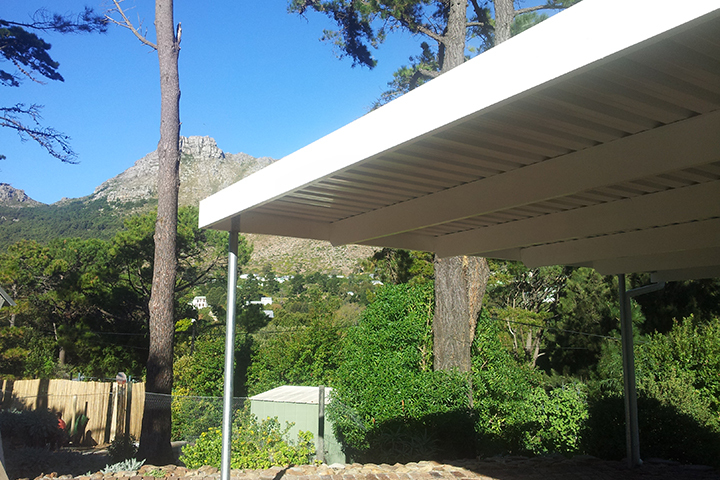 The all new 5m X 3m all Aluminum frame, DIY Portable Shade Port. 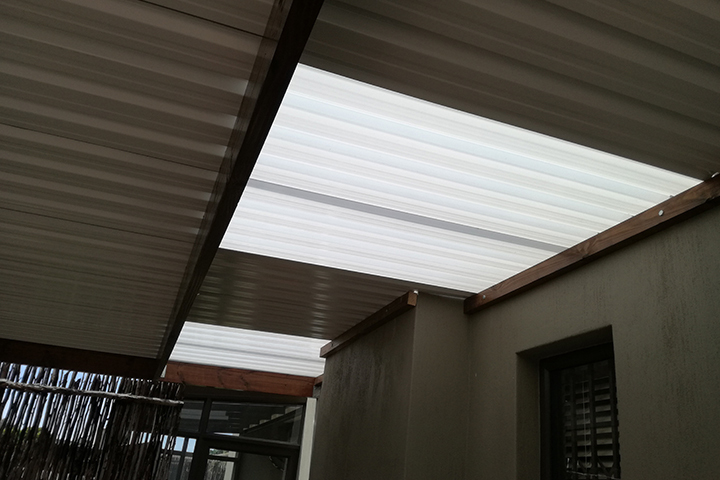 This Strong versatile light weight Shade Port can be erected in less than an hour. 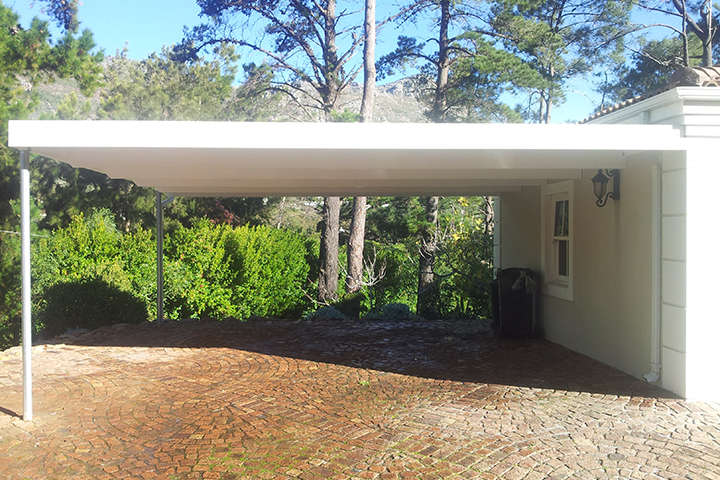 The concrete bases weigh 32kg each and offer good stability. 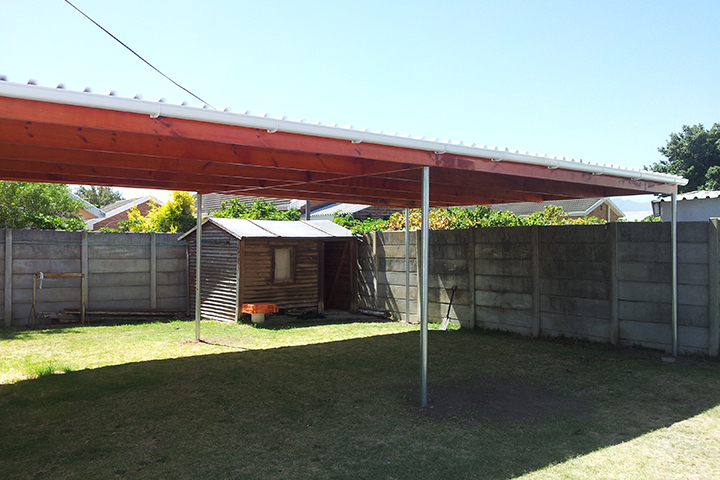 The bases are stackable so the weight can be increased if required. 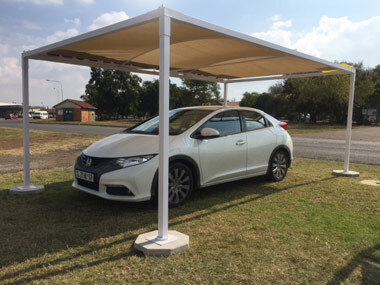 The shade nett offers good protection from the sun and is available in a range of colours. 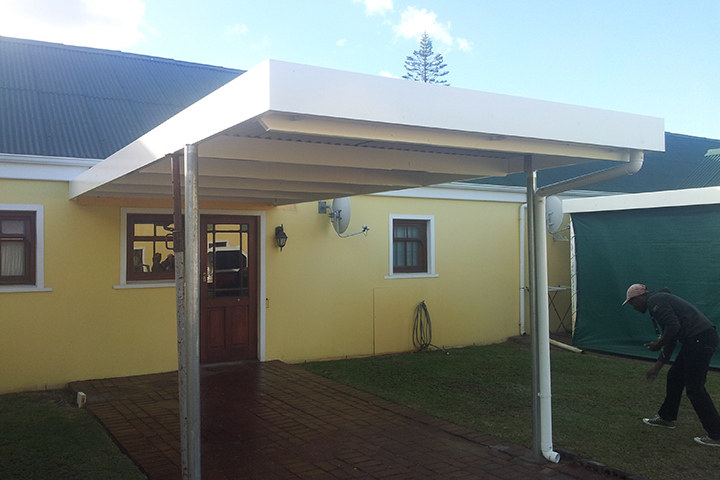 Frames are also available in a range of colours. 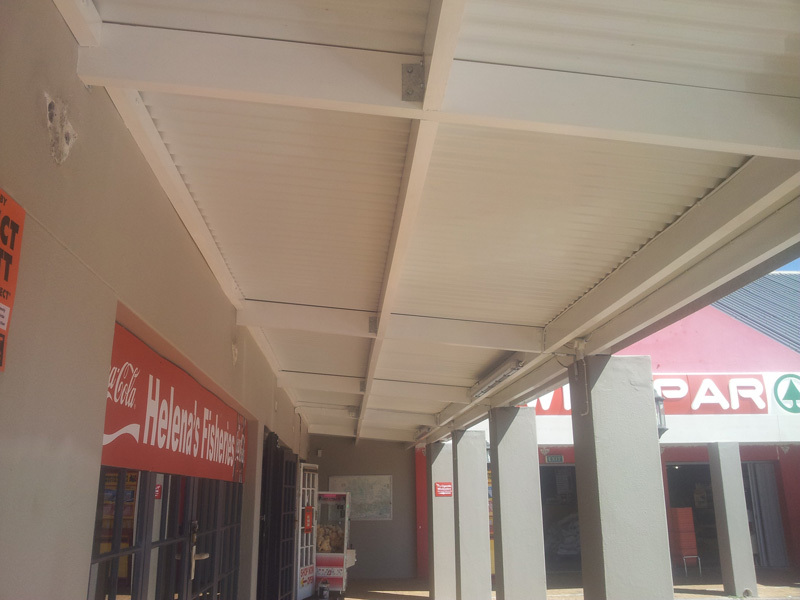 This is a locally produce product at our factory in Gauteng. 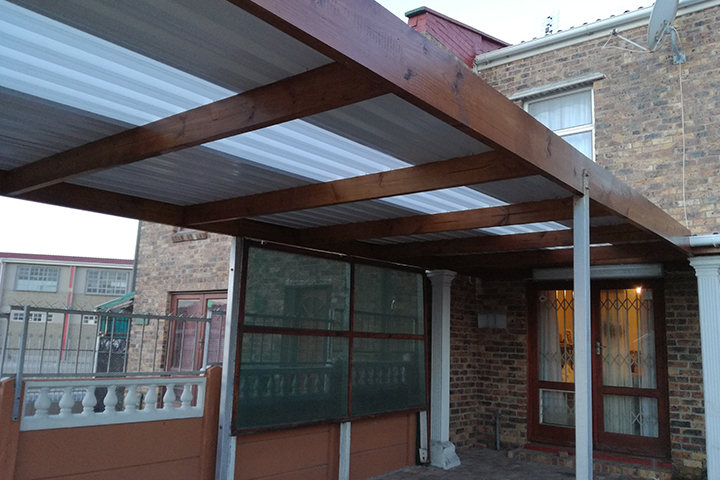 Delivery is 10 – 15 working days for 1 – 5 units and 20 – 30 working days for larger orders, ex factory. 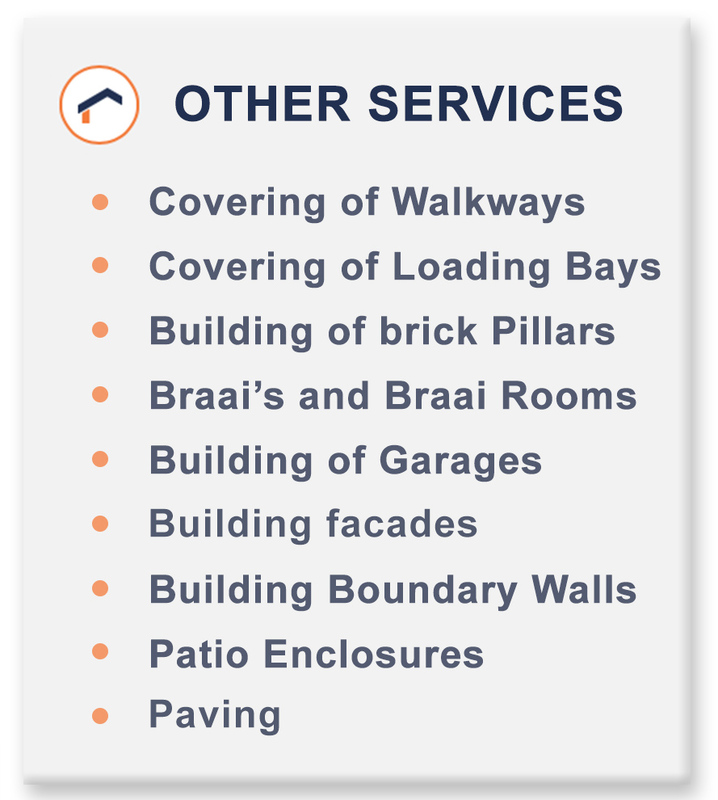 Please feel free to contact us with any questions or service requests.